The aim of this SIG is to adapt the BMC to service-dominant logic. 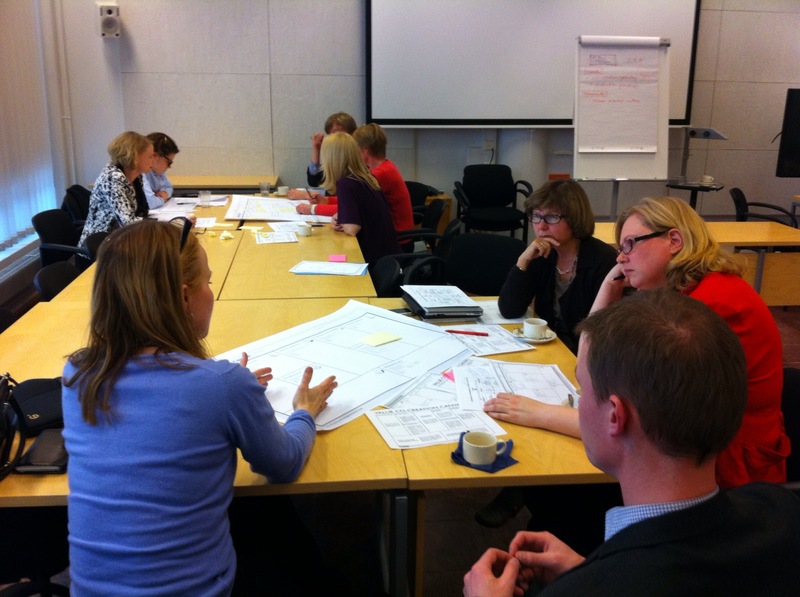 The group consists of 15 service researchers and developers from VTT Technical Research Centre of Finland, Hanken School of Economics, Laurea University of Applied Sciences, University of Tampere, University of Vaasa, Aalto University, and Tekes Finnish Funding Agency for Technology and Innovation. 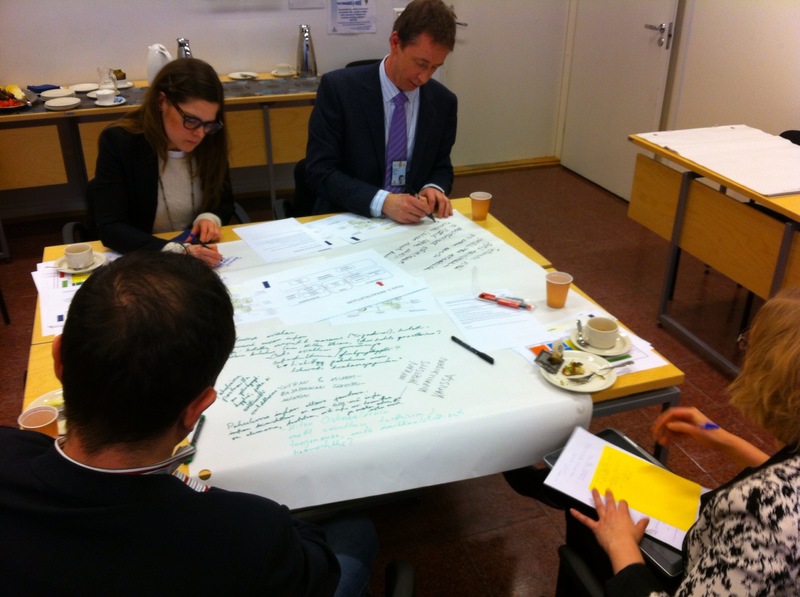 So far, our SIG has had three half-day brainstorming workshops: in January, March and April 2013. The new Canvas has been developed step by step. On 29 April, our group had a privilege to have a three-hour workshop with the founding father of SDL, Professor Stephen L. Vargo. Prof. Vargo gave very positive feedback on our work so far. 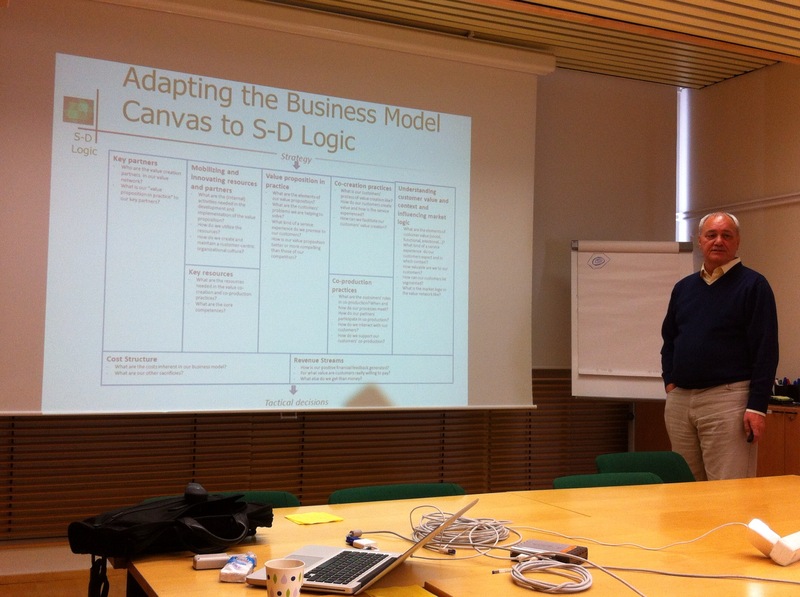 But it became evident that we have only started our journey towards a SDL-based business model canvas – a lot of reframing is still needed. Most importantly, revising the terms used in the business model could help businesses think differently. For example, the term “segmentation” automatically results in taking a very provider-centric view. Prof. Vargo threw us two main issues to discuss in the next phase: 1) Do we want to reframe the existing BMC, or should we put together a novel business model format based on the theoretical view on SDL, and 2) Should we first focus on developing the theory on SDL-based business models and only after that develop a tool. He highlighted that creating the theory first would help make better applications. There is evidently a need of understanding the managerial implications of SDL and value co-creation. Professor Vargo stressed that this is even more important in traditional goods businesses and industrial contexts. Novel thinking of value creation is needed in businesses – not necessarily changes in the actual business. Thus, we are obviously working with a very relevant issue.